A month has passed since I got the urge to pose the serious question to the important people in my virtual life. Yes, a month ago I asked YOU, all of you, my dear readers: How to make this blog a better place? and was I surprised by the response this survey aggregated! Thank you, all of you 228 souls for the time you spent giving me your advice. I get so uplifted collaborating with creative and thinking people, there is hardly anything else I would rather do! 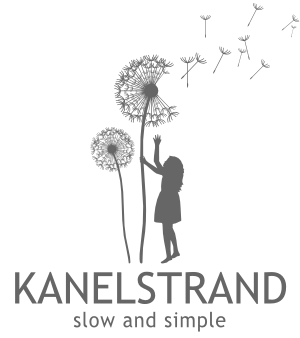 What content would you prefer to see on the Kanelstrand blog? Yes, things looked pretty obvious even in the beginning and I am so glad that I had the chance to give you what you wanted straight away! Several days after setting up the survey, my family and I started on a journey around Norway and you were my photo companions for 15 days of Scandinavian nature, cities, small towns and UNESCO World Heritage listings. Now that's what I call good timing or even more bravely put - reading of minds! 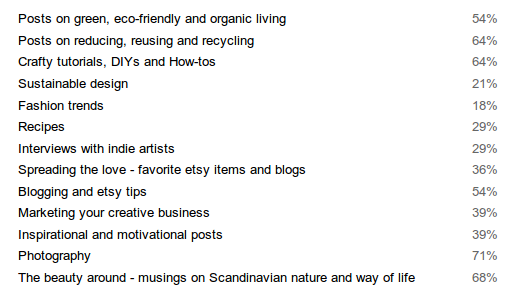 I am proud to have covered the most wanted topics - Photography (71%) and Scandinavian nature and way of life (68%). Now, what is left is for me to keep on sharing with you my passions: photography, Scandinavia and easy decluttered living. Of course, there will be much more and I have already taken into consideration all of your wonderful thoughts and ideas you shared in the survey. I wholeheartedly appreciate your opinions and I feel blessed to have connected with so many inspired and bright minds. Thank you for being there for me. I will do my best to keep working and collaborating with you for creating a better place for ourselves where we can grow together and share our passions. On a different note, I am thankful to my friend ELK who informed me yesterday that there was a problem with the comment form on my blog, so I had to change it to a pop-up window in order to be able to get your responses. Hopefully blogger will fix whatever needs to be fixed soon. Do you have any problems with your comment forms? You're very welcome - I was glad to help! I'm glad you sound satisfied with the answers you got. :) Hugs! Looks like your answers are so similar to what I would like too. It's always good to know what your readers really want. Interesting survey results! And I'm glad someone told you about the comments--I couldn't comment on your blog yesterday but thought it was a problem on my end.